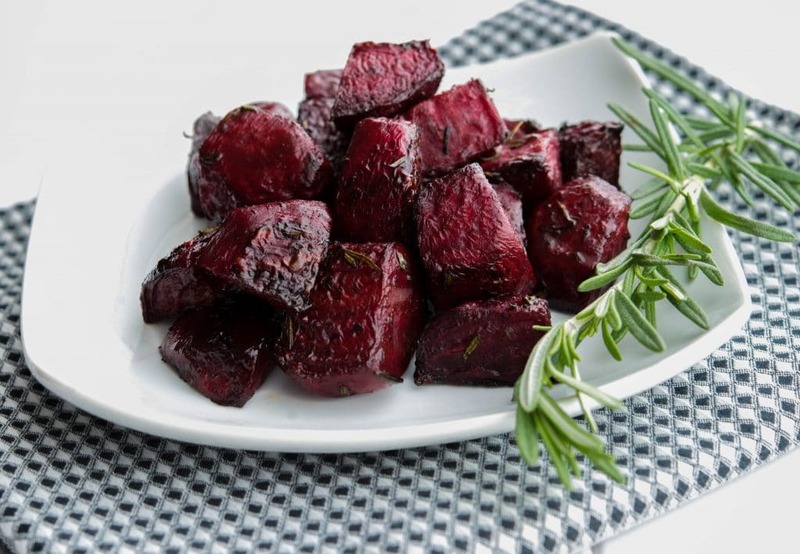 Fresh beets tossed with balsamic vinegar, fresh rosemary and extra virgin olive oil; then roasted until soft and tender. Eat them hot as a side dish or cold in a salad. Did you ever try roasting beets? 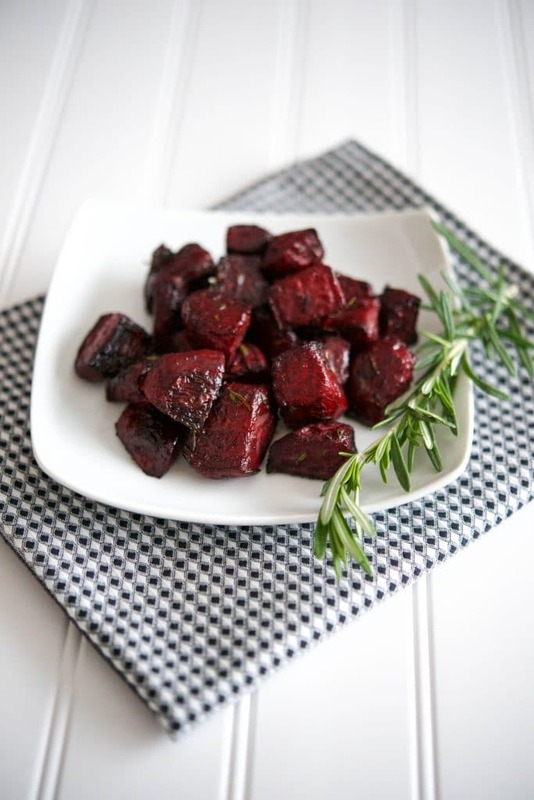 I hadn’t until recently when I made these Oven Roasted Balsamic Rosemary Beets and they were delicious if I don’t say so myself. Growing up in the 70’s, eating beets from a can or pickled in a jar was natural and I remember I wasn’t a huge fan. As I got older, I just avoided them completely until I decided to make my own pickled beets two summers ago. They were delicious, fresh tasting and definitely not the beets I remembered as a kid. When I saw some fresh beets in my grocery store recently, it got me thinking about trying them a new way. If you’ve been following my posts for while, you know I like to roast a lot of things, it really brings out the natural flavors in food without having to add a lot of unnecessary ingredients. Case in point, these beets. Also, if you haven’t noticed already (for those new readers here to CEK…Welcome BTW, I’m glad you’re here! 😉 ), I don’t add measurements of salt and pepper to many of my recipes for two reasons. I love salt, so I automatically salt everything before I eat it. Yes, I’m one of those. If I salt my food while I’m cooking AND before I eat it, it would probably be safe to assume I may wind up with high blood pressure down the road. For now, it works for me. Using salt is a personal preference. Some like more, some like less or none at all. For all of my recipes, use as much or as little salt as you desire; however, keep in mind that if you’re looking at the nutritional information provided for each recipe, salt is generally not included unless I specifically say a certain amount. Just combine these few simple ingredients: fresh beets, balsamic vinegar, extra virgin olive oil and fresh rosemary; then place them on a baking sheet and roast for about 20-25 minutes. Superb! 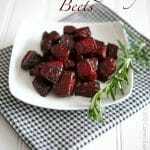 The combination of balsamic and rosemary paired with the sweetness of the beets really gave them a nice flavor. Eat these Oven Roasted Balsamic-Rosemary Beets hot or chill them and add to your favorite salad. Even my teenager liked them! I’m so glad the days of only eating Chicken Dino’s are behind us, she’s really come a long way since I started this blog almost 4 years ago. Now she’ll try just about anything once and isn’t that the whole point of introducing different foods at home. ~Enjoy! Using sharp knife, cut the stems off of the top of each beet; then peel the skin (either work quickly and wash hands right away to avoid staining of the skin or wear gloves). Cut the beets into 2" pieces and place in a bowl. Add the oil, vinegar, and rosemary and toss to coat. Place on a baking sheet lined with foil; then roast for 20-25 minutes until the beets are fork tender. Did you know you can also eat the beet stems and leaves? How delicious! A great combination of some simple flavors. These look awesome! love beets and these look so good! love the idea to roast them with balsamic, I’ll have to try that! Thanks Allyson! Even my 13 year old who generally doesn’t like beets liked them this way. I saw this recipe over on Pinterest and wanted to stop by to tell you how delicious it looks. I’ve linked to it on my healthy recipe roundup over at the blog, and can’t wait to give it a try. 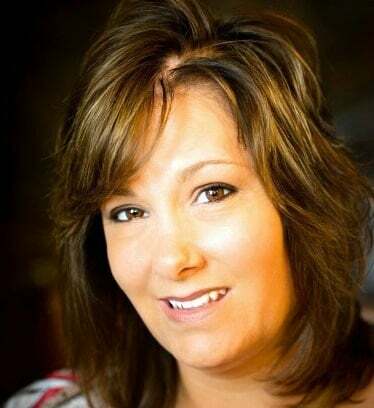 Thanks Kristi, I’m so glad you liked it. Thanks for including it your roundup. I’m so glad you liked the recipe Elaina! Thanks for stopping by to let me know. I cannot wait to try this out! I recently purchased some beets at my local farmers market and sautéed them in a stir fry. While they were tasty and beautiful I felt like I didn’t do them justice. This recipe looks like just the thing to really pull their flavor out and onto my taste buds. Thanks for sharing! Made them and added to a kale feta salad. Delicious??Thanks! We really enjoyed this. A nice play on the acid in the vinegar with the beets. You know, you just have to enjoy the earthiness of beets! I’m so glad you enjoyed the recipe Donna. I just love beets and don’t make them nearly enough. I love this!! Beets did leave my hands a little red so I will use rubber gloves next time. Instead of oven I wrapped them in foil and roasted on the grill. Hubby raved about them! Thanks for sharing!